I. 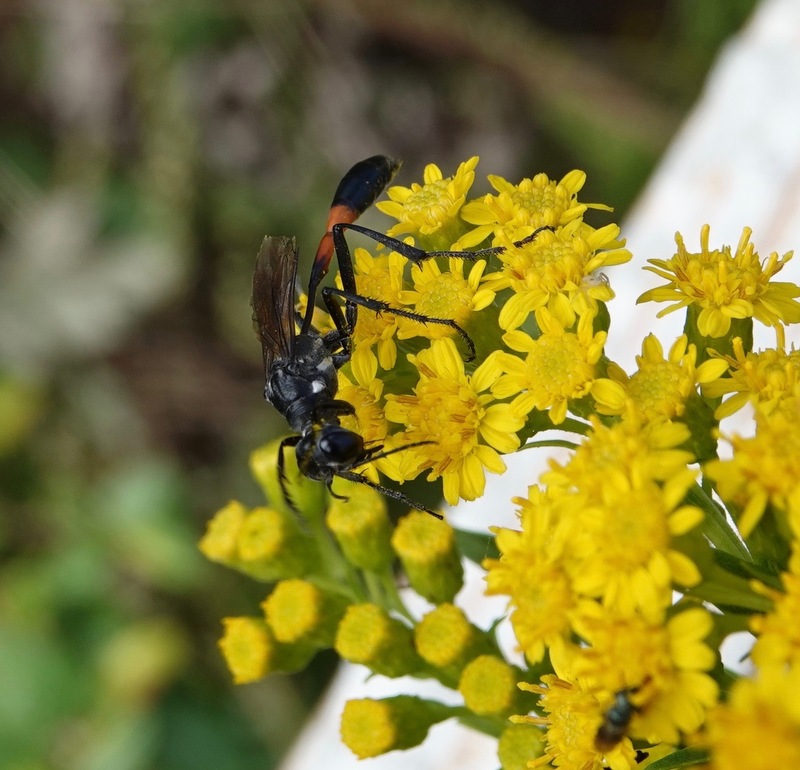 Probably Common Thread-waisted Wasp, Ammophila procera, although the whole Ammophila genus sounds confusing for IDing via camera. So let’s enjoy that orange midriff. 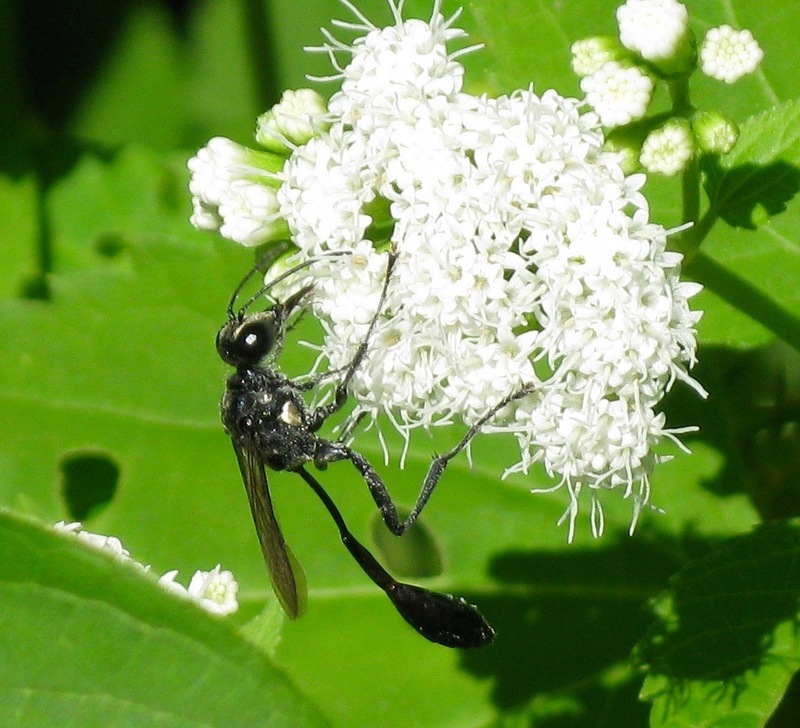 Members of the genus parasitize caterpillars and sawfly larvae for their young. 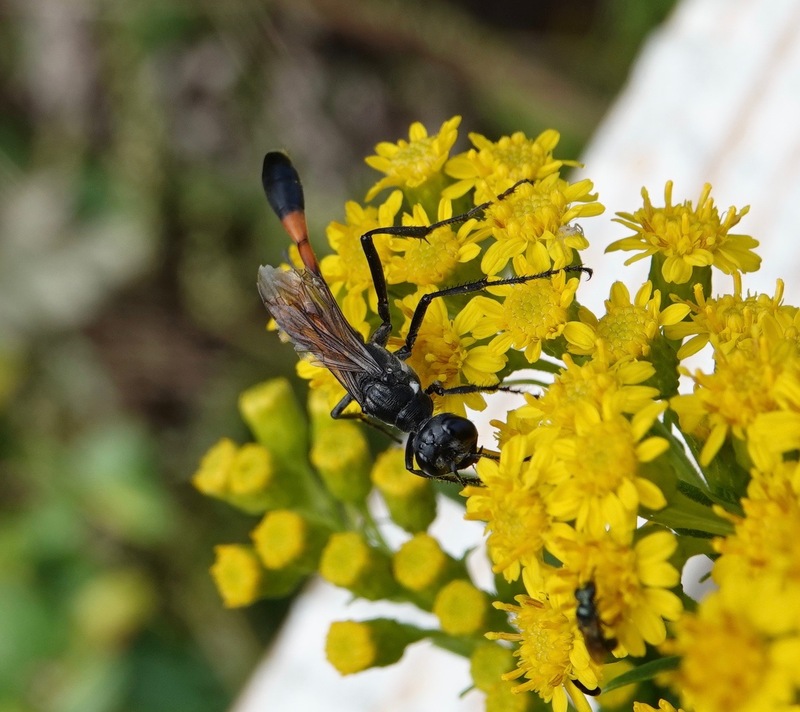 A big, bold creature, spotted late last week supping the nectar of seaside goldenrod. Have been seeing these for a few weeks but this was the first time I could get a lens on one. With a sweat bee (Agapostemon) in the mix. II. 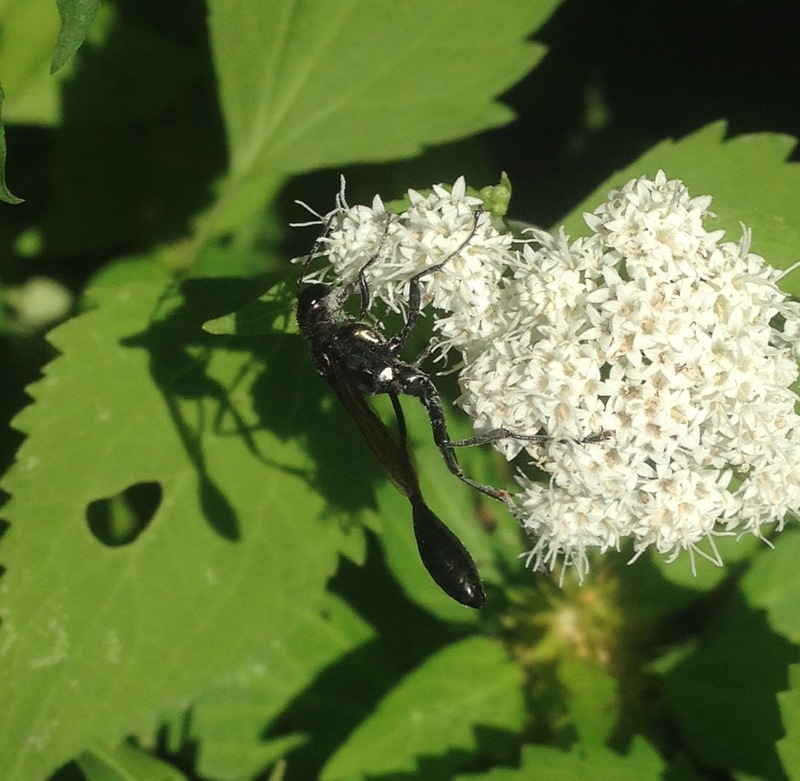 Gold-marked Thread-waisted Wasp (Eremnophila aureonotata) nectaring on white snakeroot (Ageratina altissima). The gold marking, which is what “aureonotata,” means, seems to be the white gold on the sides of the thorax, seen below. I have a hard time picturing all the plumbing and wiring, as it were, going through that long narrow waist. The females make burrows that they provision with a single caterpillar. Like a lot of wasps, the adults are vegetarians. And note that there’s a dusting of pollen on underside of the body and legs. III. 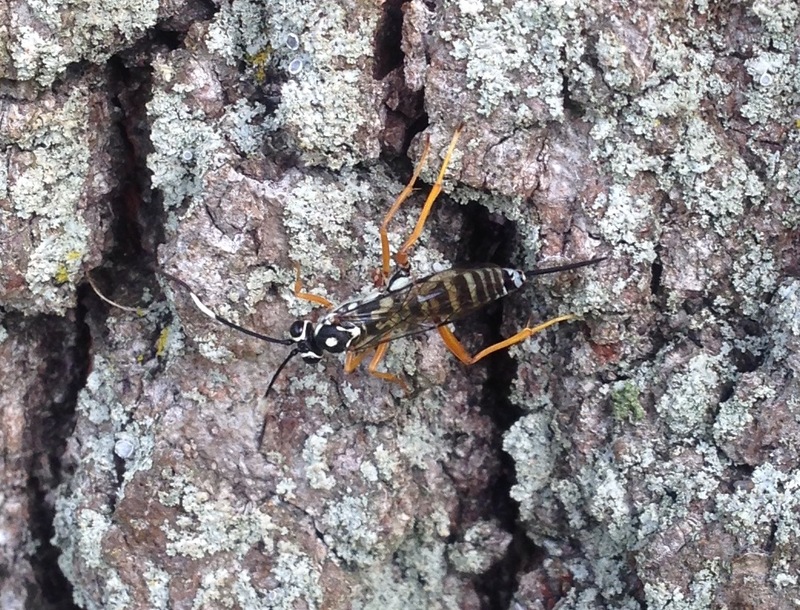 One of the Ichneumonidae family wasps. But which one? 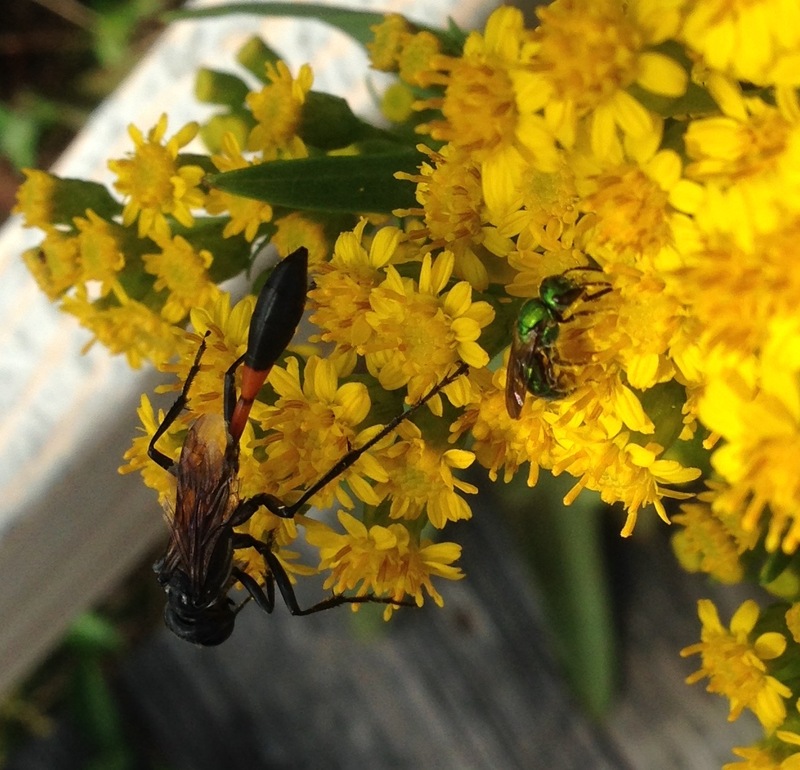 iNaturalist suggested a couple of Antipodian species, which was alarming… but a false alarming. Bugguide.net suggested Cryptanura septentrionalis, no common name, and this looks good for a match. 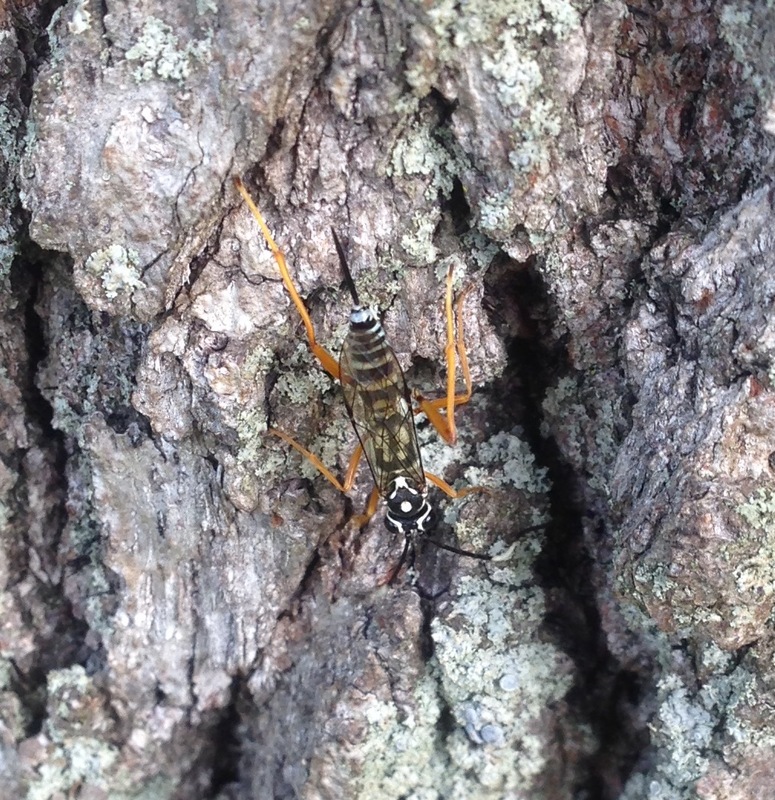 That’s an ovipositor not a stinger. Since her antennae were moving so rapidly, it’s hard to see them, but they are very long, with some white in the middle of them. 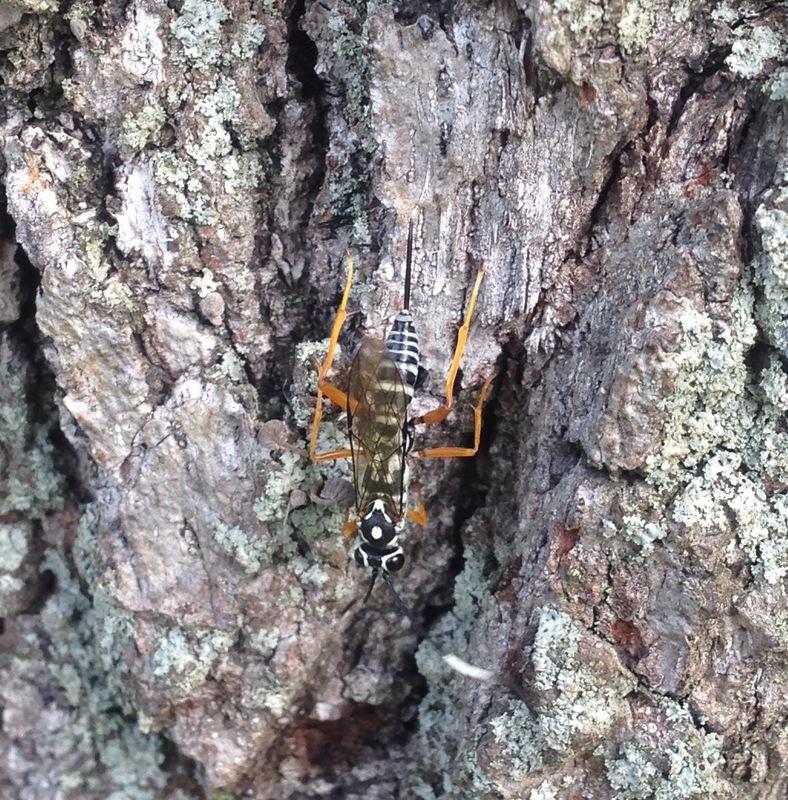 She was rapidly sense-feeling the oak bark’s crevasses, presumably for lunch or something to lay her eggs into. No luck in finding any natural history about this species, except that it’s one of two in the genus found north of Mexico. 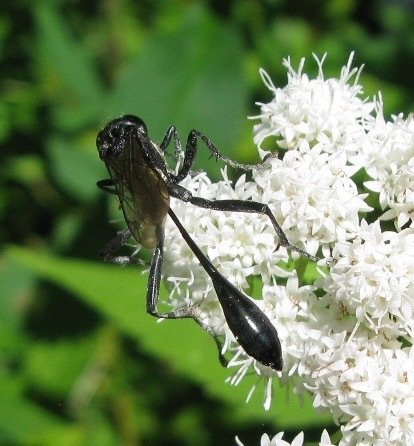 All of the bugguide.net examples are from southern states. On iNaturalist, my example is the furtherest north reported; next nearest is Washington DC. Though the holotype specimen, named in 1945, was collected in Cleveland in the 1930s, and Cleveland, to be fair, is slightly further north than the Bronx.